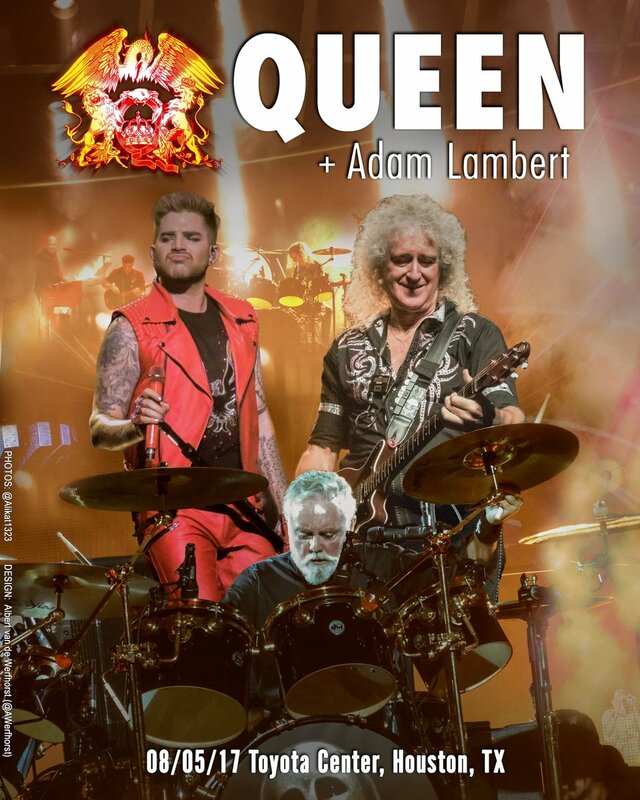 You are here: Home / 2017 Queenbert / Surprise Encore Addition to Queen+Adam Lambert’s Final North American Gig! 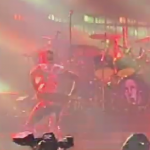 Last night in Houston, Queen + Adam Lambert squeezed in another song to their 2+ hours set list! They surprised the crowd with a jazzy version of Tie Your Mother Down during the encore, between We Will Rock You and We Are the Champions. QAL performed this song during the 2014 tour and various incarnations, but omitted it from the current News of the World tour set list. The following video has great sound but is shot from a distance. Click here to see the entire Houston concert on close-up video from @mardiblitz. Look for Tie Your Mother Down at 2:26:10. 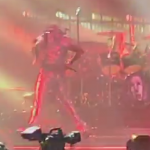 Halfway through the song at 2:28:54, it’s so cute when Adam jumps up twice to pull up his pants! So now the North American tour is over. Next time on stage for this family won’t be until November when they begin the U.K. tour. Brian, Roger, Frank, the Queen entourage and Queen jet head back to England while Adam is flying home this very minute to West Hollywood via commercial airlines, where he will concentrate on finishing his next album. Yes, that’s my guess but don’t cha think it’s gotta be??!! Thanks for being such a great fan! The other fans who provide such great videos are priceless too! So glad you got to see the show! Sounds like you have a wonderful family too! There was so much full level entertainment value in this tour. Frank, the lasers, supreme musicians, and on and on. I think there is so much fanticipation for Adam’s new music & we all hope for him to score big with it! What a great tour! I’m sure the rest of the tour will be a smashing success!